After long hours of hectic routine during the weekdays, you are likely to look forward to having some fun during the weekends. Places of entertainment and bars in Sanya are mostly crowded during Saturdays and Sundays. If you do not like crowds, why not try the bowling alleys. 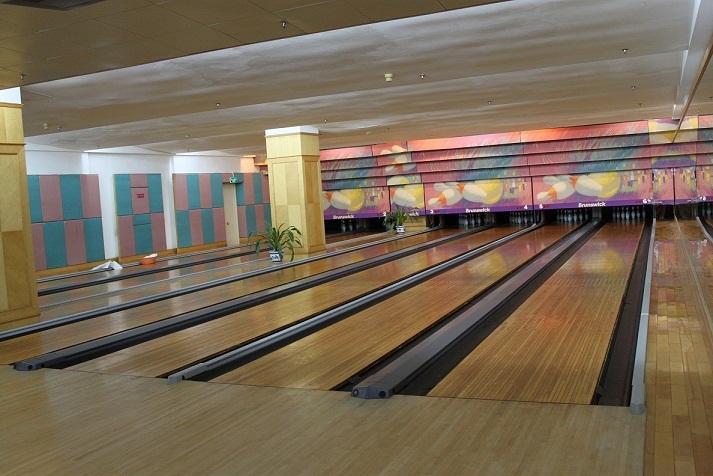 One of the most appealing bowling alleys in Sanya is the Bowling Centre in Shanhaitian Hotel. Located on the 1st floor of Shanhaitian Hotel, the Bowling Centre is a popular mini bowling place on Dadonghai Beach. Upon entry, the first thing that strikes the senses is the décor; yellow wooden floors, delicate counter tops and peaceful environment contrast mirrors hanging on the walls. The bowling centre features 6 alleys with automatic scoring, shoe rental and everything for those looking for an overall straight bowling experience with excellent facilities and equipment. The centre is running everyday from 9:00 am to 1:00 am. In the spacious seating area, there is a touch-type screen that shows everyone’s scores. Bowlers can use this machine to call for lane service. If you are not content to play bowling, other sports like table tennis, billiard, snooker, chess and cards are also available for your needs. In the bowling centre, there are also mixed drinks and alcoholic beverages available to satisfy your thirst from working up a sweat after giving out all those high-fives to your teammates. And best of all, it won’t put too much of a dent in your budget. If you come to play at the Bowling Centre at different hours, the rates for bowling games will be varied. The bowling centre offers special discounts for WOS membership card holders, so do not hesitate to get out alone or with a few friends and have great fun bowling in the Dadonghai area.